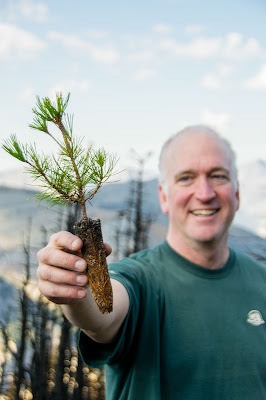 John Stoesser, Parks Canada - The life cycle of the whitebark pine starts with a small seed, stashed by a nutcracker, which can grow into a 20-metre-tall, 500-year-old tree. Whitebark pine, a long-lived five-needle species, is threatened throughout its Canadian range by the introduced pathogen white pine blister rust, mountain pine beetle, fire suppression and climate change. It is listed as “endangered” under the Species at Risk Act (SARA) as the Canadian population is in decline. Some stands in Waterton Lakes National Park have an 80 to 90 per cent infection rate of invasive white pine blister rust. 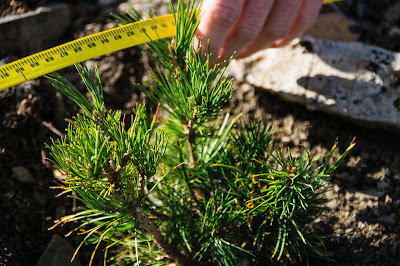 Whitebark pine is found in all the mountain national parks - Waterton Lakes, Banff, Kootenay, Yoho, Mount Revelstoke, Glacier, and Jasper – and Parks Canada teams are actively applying restoration techniques to improve the natural renewal of this species at risk. 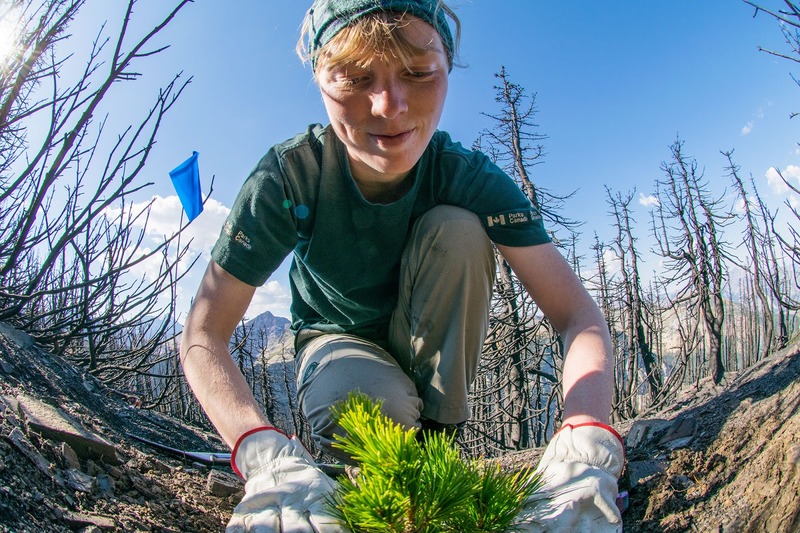 Parks Canada protects seed-producing whitebark pine trees that show resistance to the introduced blister rust called ‘plus trees’. We then enhance natural regeneration by planting stock grown from these ‘plus tree’ seeds. Some seedlings are also inoculated with spores of a native fungus called ‘Siberian slippery jack’, which has a symbiotic relationship with pines and helps the young trees acquire nutrients. When applied to the roots of seedlings prior to planting, the survival and health of those seedlings is greatly improved. Prescribed fire is also used to restore and improve whitebark pine habitat in sub-alpine regions. 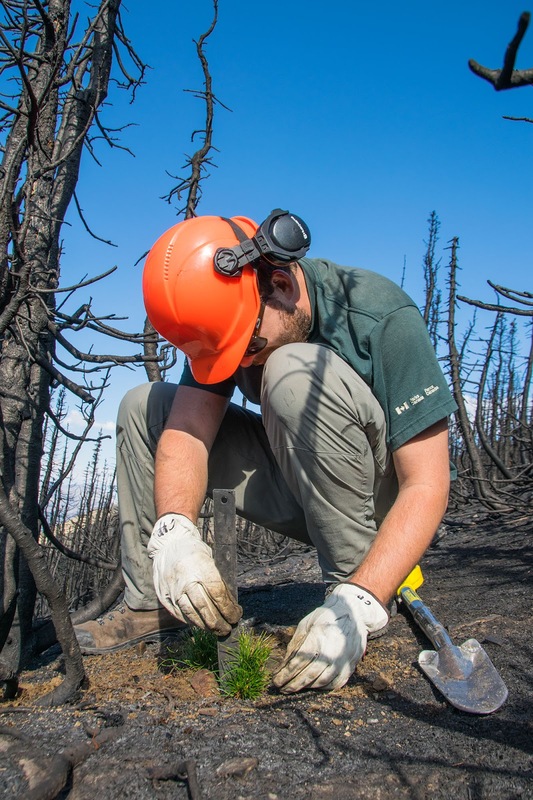 These fires replicate natural conditions under which whitebark pine previously evolved and thrived. The process removes competing vegetation and creates nutrient-rich habitat suitable for planting putatively blister rust-resistant whitebark pine seedlings. 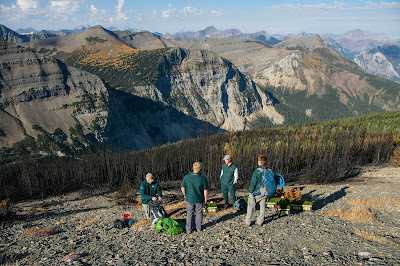 This fall, Parks Canada planted 1,000 rust-resistant seedlings on Sofa Mountain in Waterton Lakes National Park. Crews planted the seedlings in an area burned by prescribed fire earlier in the season. As a world leader in conservation, Parks Canada is committed to the long-term restoration and protection of whitebark pine. 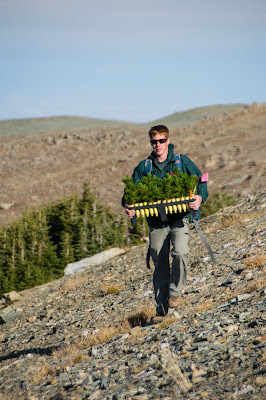 We will continue to research and monitor whitebark pine and use the results to help direct our future actions. Parks Canada’s whitebark pine recovery effort in Waterton Lakes National Park is part of restoration initiatives taking place throughout other national parks and with cooperation from provincial, academic and international partners. Glacier National Park in Montana has been helping us by growing our whitebark pine seedlings for the past seven years – up to 6,000 seedlings so far! We also work with Alberta Agriculture and Forestry, the United States Forest Service and the British Columbia Forest Service.